these are made from silk cotton and other brocade, cotton and fine materials.They have a compartment inside to keep card and cash.they come with a hook so that its easy to clip on any type of dresses like sari, churidhar and pants.they are made in different sizes to suit any mobile phones.They come in a wide range of colours to suit the dress.They are priced at Rs.150 each. - The pod is the ideal protection for mobile phones and is one of the most popular accessories in our Pod range. - Made of high quality, water-resistant Neoprene. - The pod comes with loop & hooks closure for extra protection and with belt loop. 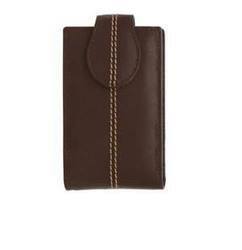 Protect your mobile phone/MP3 player from scratches and damage with these trendy purses. Measures 2.5"
-4.5" with a press stud closure. Go green free from paper work. Smart android application to ensure your product goods/consignments has been delivered to our respective clients with live tracking. - Consumer Goods(Logistics) and Cash Collection.